Blind acceptance of capitalist, imperialist propaganda. Socialism in Venezuela has lifted millions out of poverty, hunger and illiteracy. This article might as well have been written by Trump himself. 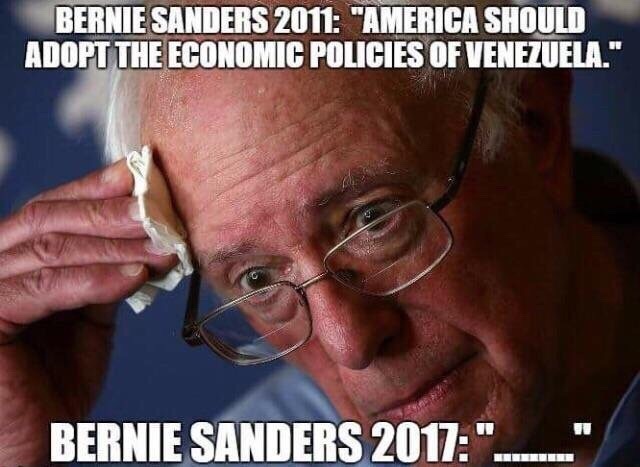 When America has a similar population to Venezuela it will make the same mistakes. Full stop. Winston Churchill gave the best take on political systems when he said .
.(para phrase) : Democracy may be a bad system of government , but it’s much better than all the others ones”. Michael Moore should give the Maduro Diet a try. He needs to lose weight.